Last week we brought you an interview with Rick Yune, looking back on his role as Zao in Die Another Day. Now, instead of just reminiscing, Mr. Yune has plenty to say about what’s going on right now. 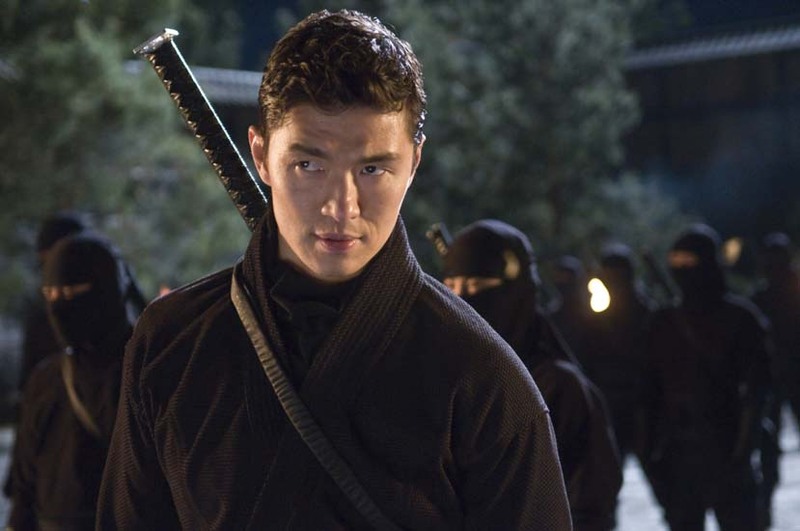 He’s co-starring in one of fall’s most hotly anticipated films, The Man with the Iron Fists, which opens November 2, 2012. 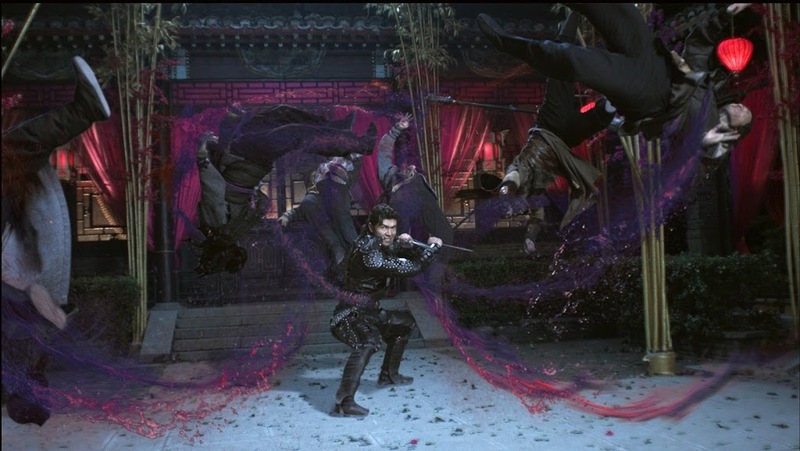 The action epic marks the directorial debut of the Wu-Tang Clan’s RZA, who also stars and co-wrote the screenplay (with Eli Roth). Russell Crowe, Lucy Liu, and Jamie Chung are all part of the incredible cast. There’s even more with Mr. Yune at The Morton Report where you’ll find the rest of my interview, including more info about Quentin Tarantino’s involvement and working with fight choreographer Corey Yuen. But fear not, we saved some of the best stuff exclusively for our Cinema Lowdown readers! Rick, you’re calling The Man with the Iron Fists the best movie you’ve ever been part of. What made the experience so great? What I love about this is that it’s a group of people that got together with a common bond, and we went out there and faced the challenges. Because it wasn’t an easy shoot. That type of camaraderie is hard to find anywhere in life. That’s what Iron Fists was to me. RZA did it all on this movie, directing, acting, and he wrote it, too. He had some help with the writing? He wrote it with Eli Roth. Quentin Tarantino was there helping him along throughout the whole process. And RZA did the music. It took him ten years to make [the film]. What was it like working with RZA, as both a cast member but also taking direction from him? Well, I know him as a person. So the connection that we have with each other, building a relationship, we had that connection beforehand so it was really easy. The guy knows what he’s doing. He’s been performing for a long time. This is just another type of performance. The Iron Fists cast also includes the absolutely gorgeous Jamie Chung, who got her start on MTV with The Real World: San Diego but has since acted in films including Sucker Punch, The Hangover II, and Grown Ups. How was it working with her? She was great! I had a few scenes with her. I don’t want to give too much away. We all had a great time together, on set and off. And this is one of the few projects that I’ve worked on that I’ve been able to have that. We worked six-day weeks. But on that one day we had off, the night before we’d go out and party our asses off. And that brought a sense of camaraderie when we came back on set to shoot the next day. That must have been a lot of fun – what a group of people to hang out with. As a fan of Sho Kosugi’s ninja movies of the ‘80s, I would be remiss if I didn’t ask you about working with him on Ninja Assassin. What is he like? The funniest guy in the world. You see how sort of severe he can be on screen. But you’ve never seen a more joking guy; fun-loving and with a tremendous sense of humor. I can tell you, one scene when we’re together side by side, he pulled the sword out and actually hit me below the belt with it. [Laughs] I kind of had to hold it, because we were in the middle of the shot and there was some action going on afterwards. So you can’t step out of the scene at that point, or it would’ve set us back a few hours. So it was that moment where you just had to stand still and go for the rest of the action. But afterwards we were just rolling over laughing. He has this high-pitched laugh that’s akin to how a kid laughs. He’s a great guy. That’s awesome. I really appreciate your time, Rick, and can’t wait to see The Man with the Iron Fists. In essence, from what I’ve heard from people who have seen it, RZA created the “kung-fu Avengers.” I saw [the final cut]. The way that it was put together, the music that was cut into it, the flow that it had, people were basically blown away. For much more with Rick Yune, check out the rest of my interview only on The Morton Report. 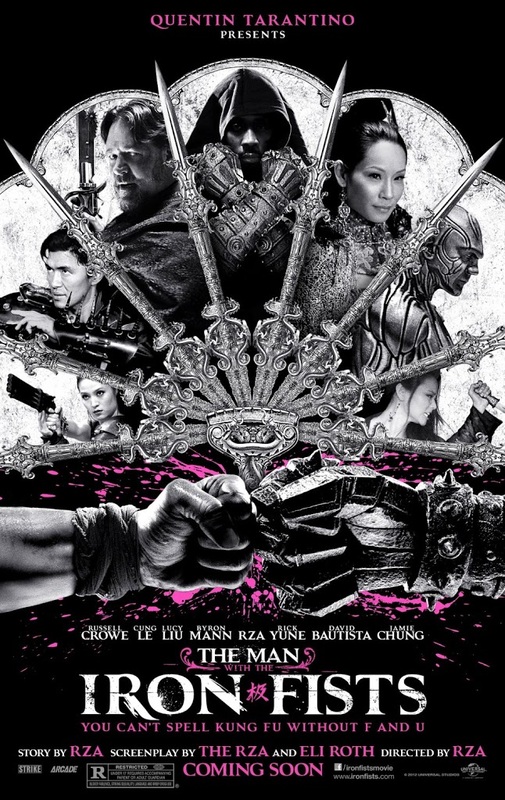 For more information about The Man with the Iron Fists, opening November 2, visit the official website.